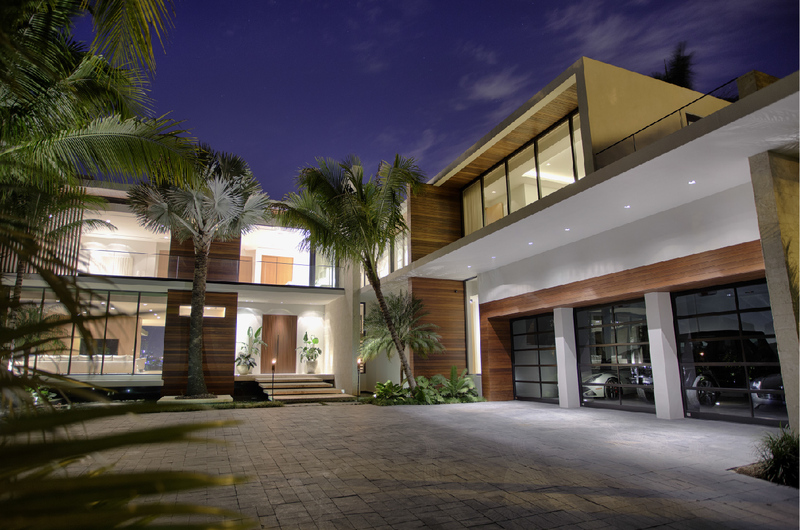 An architectural gem by renowned architect Ralph Choeff. This 7 bedroom, 8 bathroom home sits on 145 feet of water frontage with unobstructed west-facing Downtown sunset views, and offers the best amenities including chef’s kitchen, butler’s pantry, bar, movie theatre, wine cellar, koi pond, elevator, rooftop terrace and air-conditioned 3-car garage. 10ft telescopic sliding doors provide indoor/outdoor living with pool, two spas, two outdoor kitchens, three outdoor showers and beach area with a fire pit. 19,466 sq ft pie-shaped lot, no wake zone area, new seawall and dock to accommodate up to a 130 ft yacht. Located on guard-gated Hibiscus Island.